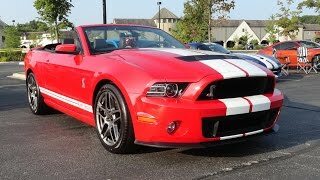 The Ford Shelby Mustang GT500 convertible 2013 marks the 20th anniversary of the manufacturer’s Special Convertible Team (SVT) and it is built to make an impression. The 1993 variant of the Shelby featured a 5.0l V8 engine capable of delivering 235hp, while the new one produces 650hp in the same V8 setting. The convertible is a slightly modified variant of the popular coupe that made this automobile performance group globally renowned. 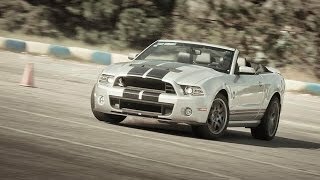 This Shelby convertible is built to be used both on racetracks as well as on the road for regular use. There are plenty of options to tune and tweak for getting the beast sitting in the belly of the car up and running. In fact, there is a Performance Package that modifies the convertible to make it faster than the existing model by about 3.5s. The new engine is a 5.8l V8 turbocharged one that can comfortably deliver 650hp and along with the specially designed Bilstein tuners, it is a treat to drive this powerhouse! A simple switch on the dashboard allows drivers to switch between the normal and sports mode. The first is meant for regular use while the latter optimizes performance on the racetrack, especially at cornering. Control in the convertible is further enhanced by the Brembo brake system which has a short stopping time and the latest six-piston calipers at the front, coupled with bigger rotors both at the front and rear further enhance braking performance. The V8 engine has been optimized for performance in every aspect possible, straight from the material used to build it. A new supercharger adds power and the gearbox is built to handle the torque more effectively and use the huge load of power in such a way to make it comfortable for any driver on any road. 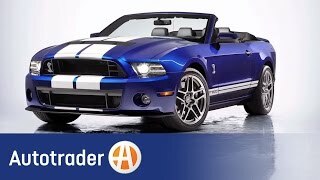 The convertible is sure to add more customers to the already large Shelby fanbase. CHICAGO, Feb. 8, 2012 – The official launch of SVT came during the 1992 Chicago Auto Show with the unveiling of the 1993 SVT Mustang Cobra and SVT F-150 Lightning. 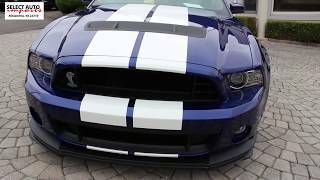 Now Ford returns to Chicago to celebrate its past and look to the future with the 2013 Shelby GT500 convertible.